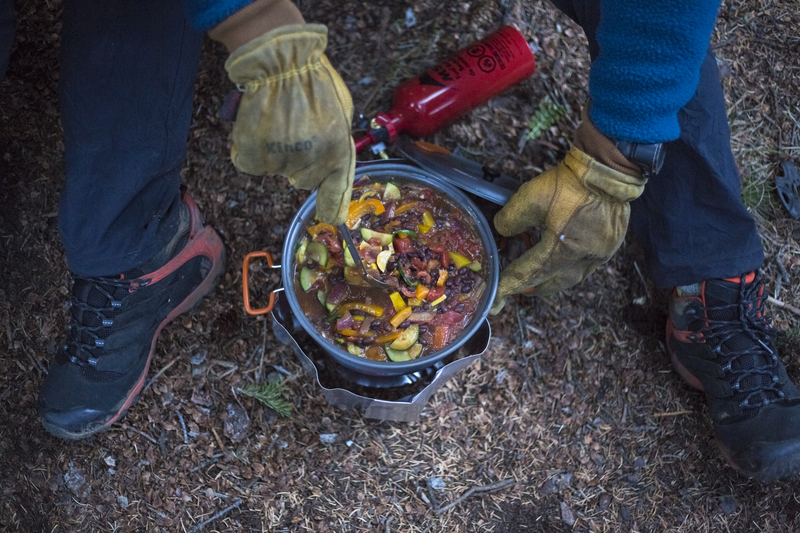 The right stove makes life on the trail better. From solo-canister to four-season multi-fuel options, we’ve tested and found the best backpacking stoves. The right stove depends on a variety of factors. What works for one person might not suit your particular adventures. 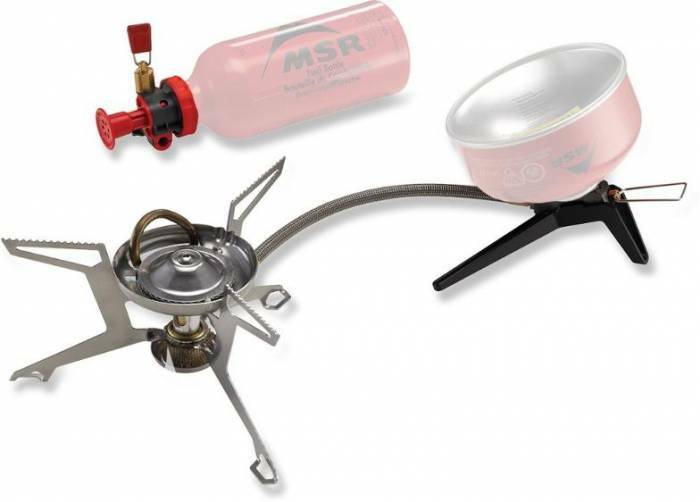 Read on for tips on choosing the best backpacking stove. Cooking vs. boiling: If you plan to eat mainly dehydrated meals, you want a fast boiling time. If, on the other hand, you’d like to cook more elaborate meals, it’s important to find a stove with simmer control. Weight: If you’re an ounce counter, a canister stove may be what you’re after. Price: Will you be using this stove every weekend? Once a month? Twice a year? It makes sense to invest more if you’ll be relying on it to feed yourself regularly. If you’ll rarely use it, or it’s more of an emergency backup, consider purchasing a less expensive model. Group size: If you regularly backpack and plan meals with a group, consider dispersing the weight and investing in a larger group cook set and stove. 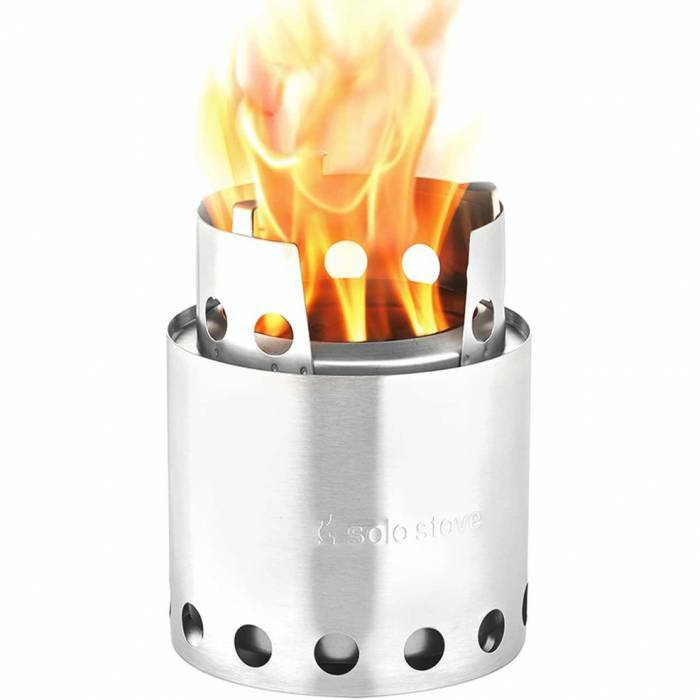 If you’re a solo adventurer, a small canister stove is a great choice. Winter performance: Not all stoves are created equal, and nowhere is this more evident than in the frigid temps of winter camping conditions. If you camp in the warmer months only, this isn’t a concern. But if you head out in the winter, you’ll probably use your stove more to melt snow. You need to be able to rely on it when the mercury drops. For this, you’ll want a liquid fuel stove. Now that you have a better idea of what to look for, let’s jump in. Below you’ll find stoves separated into four categories: canister stoves, liquid fuel stoves, alcohol stoves, and wood-burning stoves. In each section is an explanation of the category and a list of the best lightweight options within it. 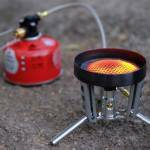 These stoves typically screw directly onto a fuel canister, filled with isobutane-propane. Benefits include ease of use and low maintenance. On the flipside, canisters can’t be refilled, causing additional waste. And they’re prone to freezing up in extreme winter conditions. The integrated, lock-on pot maximizes heat transfer, and the radiant burner means you don’t have to worry about a flame dying in the wind. I used this while motorcycle camping for more than a year and never once had a problem. It fired up without a hitch, boiled water quickly, and packed up small. The canister packs into the pot, and the plastic cup slips on the bottom creating an integrated package. Just remember to remove the cup before cooking. Trust me – it will melt. 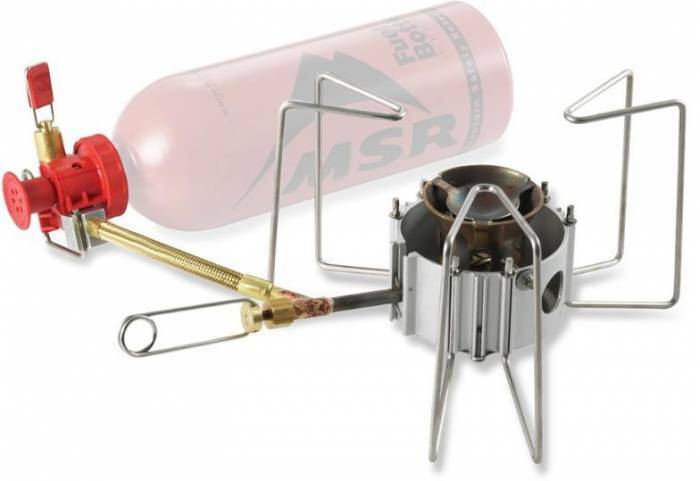 And if you’re feeding a group or aiming to cook more complex meals, check out the Windburner Stove System. The wider, shorter shape of the MiniMo pot is extremely convenient to eat out of, and the simmer control allows you to both boil water quickly and cook temperature-specific meals. The pot can be a bit of a pain to clean, so if you’re going the dehydrated meal route, save yourself the hassle by boiling water and pouring it into the meal bag. Weighing in at a scant 2.6 ounces (excluding the fuel canister), this is a supremely packable stove. The serrated supports can hold a variety of pots, and lighting is a simple matter of turning the knob and using a match to ignite. We’ve had a few close calls when stirring aggressively or bumping the pot. Set it up in a level spot and take care to keep the pot upright. Nobody wants to pick their dinner out of the dirt. 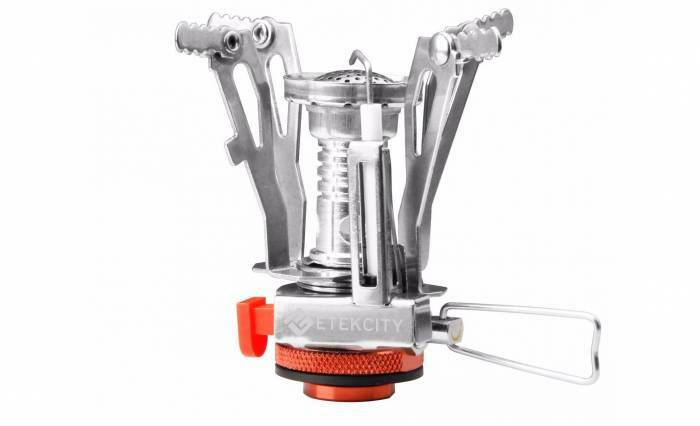 For an absolute bargain buy, check out this camp stove from Etekcity. With an adjustable flame and built-in igniter, it’s the top-value choice on this list. It’s received a lot of rave reviews, especially for such an inexpensive product. Caveats are its size and materials. It’s small, which makes balancing pots a tricky, and the build quality is a little lower than some more expensive choices. There are some better quality stoves on this list. But if you need a light stove on tight budget, this is one worth checking out. This low-profile (and therefore quite stable) stove is touted as a four-season canister stove. When cooking in normal conditions, keep the canister upright. When you need a boost or are camped out in cold weather, invert the canister. In efficiency mode (canister upright), we found the simmer control a bit finicky, and it also took a bit longer to get going. In “4-season” (canister inverted) mode, though, it worked like a charm. Including stuff sack and windscreen, it weighs in at 8.5 ounces. These stoves connect to refillable fuel bottles. These are generally filled with white gas, but other fuels are used, including kerosene and gasoline. This is ideal if traveling overseas. This stove type can be slightly more complicated to use, but it performs well in cold conditions. 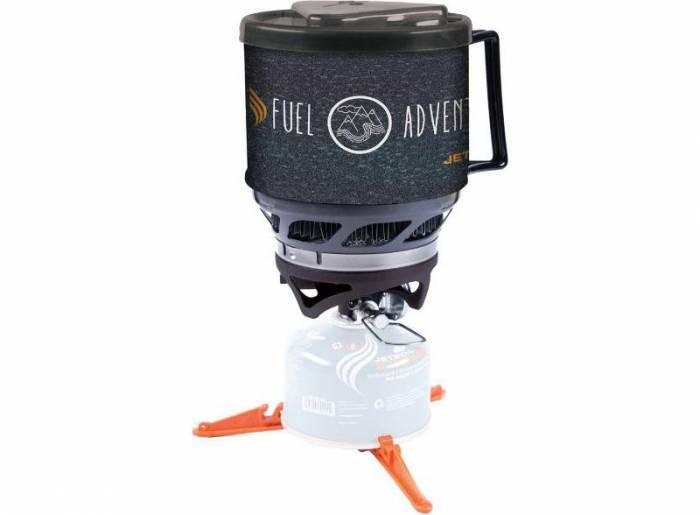 This multi-fuel stove is a great option for travelers and winter campers. The adjustable flame means you can quickly boil a pot of water and perfectly scramble an egg. This is also a great choice if you need to cook for a large group. We were impressed with the stability, even with large pots. It is a bit noisy, but it’s a great choice if versatile group cooking is what you’re after. With the option to burn nearly any fuel – including white gas and isobutane-propane – this stove has quickly become a four-season favorite. This is especially true if you find yourself traveling overseas, where fuel options may be limited. It’s not the lightest stove on the market at 13.5 ounces, but its versatility makes up for that. We had no problem balancing a pot on it. With simmer control, we were able to make everything from fluffy pancakes to delicately scrambled eggs. Plus, it got the water boiling for coffee in no time. We’ve heard reports of problems with the fuel connector threads stripping, but over several months we’ve never experienced a problem. These win the prize for simple, light, and cheap. Composed of one small fuel canister, alcohol stoves are primitive and far less efficient than other options. A previous favorite among thru-hikers, these are quickly declining as fuel for canister stoves becomes easier to find in small trail towns. For a budget-friendly alcohol stove, it’s hard to beat this setup. Weighing in at just 4.59 ounces and measuring 60-by-90 mm, it won’t weigh you down or take up much space. That said, know that you’ll be cooking much more slowly and unpredictably on an alcohol stove. 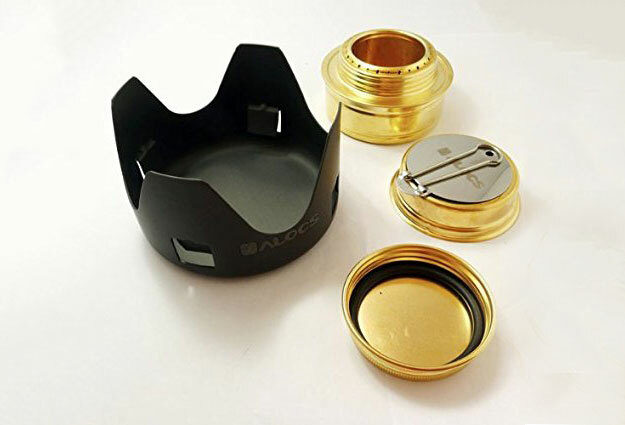 We wouldn’t choose this method as our go-to, but there certainly is a contingent of alcohol stove fanatics out there. Remember: Wind is the enemy. So use a wind-block to ensure success. Also, denatured alcohol burns rather clear, so pay close attention to make sure it stays lit. And if you’re looking for the next level in alcohol stoves, check out this kit from Trangia. It comes complete with two aluminum saucepans, a frying pan, and alcohol burner. Solid fuel stoves are light, quiet, and relatively simple to use. Open a fuel tab, light it on fire, and set your pot above it. The tradeoff, though, is that these stoves are much slower than canister or liquid fuel stoves. They’re also vulnerable to wind, and the fuel tabs are surprisingly expensive when compared to other fuel sources. Looking to test out Esbit cooking without breaking the bank? This is a great choice. Pop open one of the included fuel tabs, place in the holder, and light it up. Expect a low-to-medium flame for about 12 minutes. Think of it as a time to practice patience and enjoy nature. The stove and six fuel tabs weigh just 6.3 ounces, and you’ll never have to worry about spilling fuel all over your gear. On the other hand, the tabs leave residue on the bottom of your pot, there’s no temperature control, and I personally find the smell off-putting. For $11, though, it’s at least a worthy addition to the bugout bag. The traditionalists out there will appreciate a wood stove. You get the pleasure of cooking over a fire packed into a smaller space. The upside is you don’t need to carry fuel. The downsides include susceptibility to wind, unpredictable cook times, and fire ban concerns. Anyone keen on ditching fuel and using what nature provides will appreciate this stove. Using small sticks, you can bring a quart of water to a boil in about 10 minutes. Be sure to collect a substantial pile of small sticks before getting started so you can continuously feed the flame. Because you don’t need to pack fuel, the 9-ounce stove weight is reasonable. And the integrated design allows it to pack down easily. 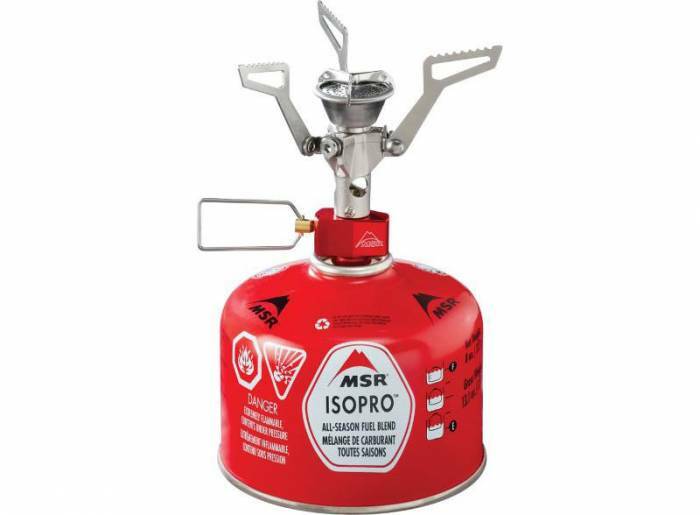 For a fully integrated system, consider adding on the Solo Stove Pot for an additional $35. 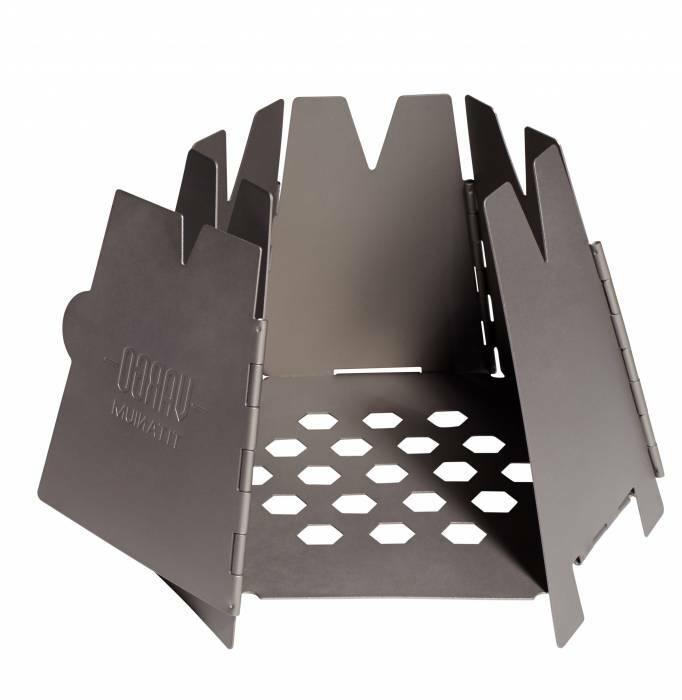 Constructed of titanium, this sturdy stove packs down flat and weighs in at a scant 4.6 ounces. Like the Solo Stove, you’ll need to collect a pile of sticks and expect to wait around 10 minutes for a boil. Be sure to set this on a sturdy surface to maintain airflow. We had problems at one point in a soft, sandy spot due to sinking and lack of oxygen. Placed on a rock, though, it did great. On several online platforms, fans of the product have recommended drilling extra holes on the side wall to increase airflow. But we haven’t tried that. As with all wood-burning stoves, this will only work in areas with an abundance of sticks, and you’ll need to pay close attention to fire restrictions. Avoid spills by setting up on the flattest spot possible. Always bring waterproof matches to light your stove if necessary. Yes, even if your stove has a piezo-igniter. They can fail, and there’s nothing sadder than a cold meal because you couldn’t light your stove. Never cook inside your tent. On top of being a fire hazard, this can cause carbon monoxide poisoning and death. 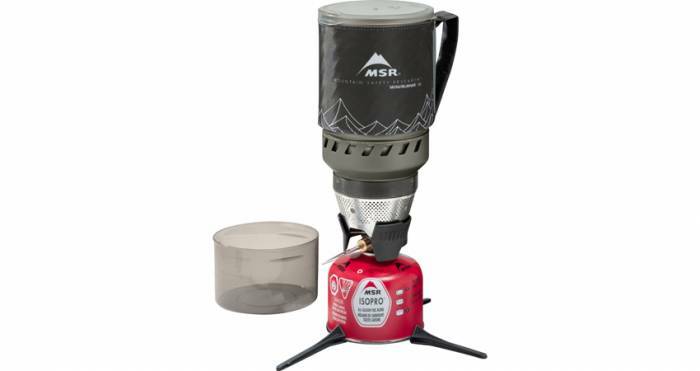 Have a favorite backpacking stove we didn’t include? Let us know in the comment section and we’ll test for future updates to this article. Mallory Paige is a Storyteller and Adventurer. She's lived in an old VW van, motorcycle across the country, and spent many a night camped out under the stars. Through it all she's learned you don't need to be fearless or perfect to live your dreams. You just have to be willing to go for it. 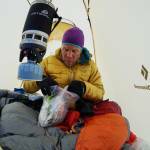 Dehydrated meals to dutch oven gourmet; the camping gear that lets you eat like a king. ‘Super Steel’ Knife: The Ultimate Blade for Camp Chefs?